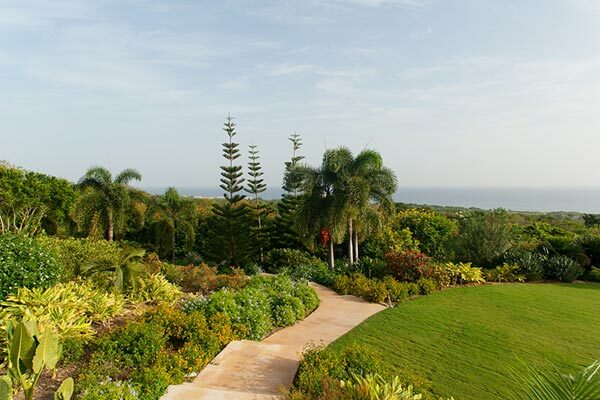 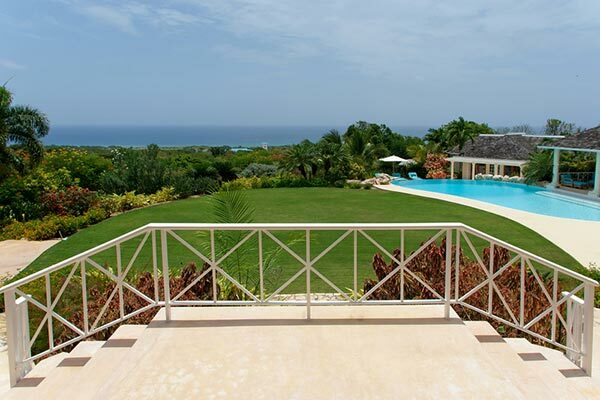 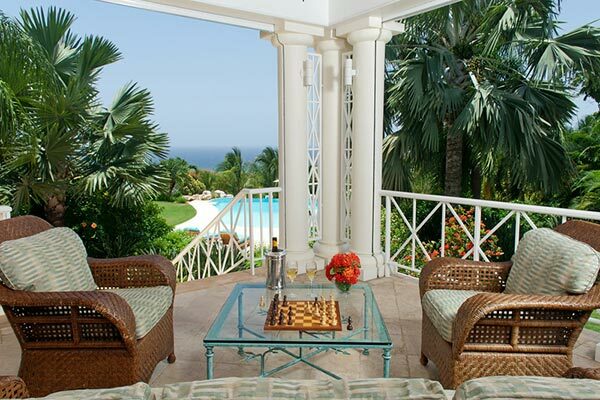 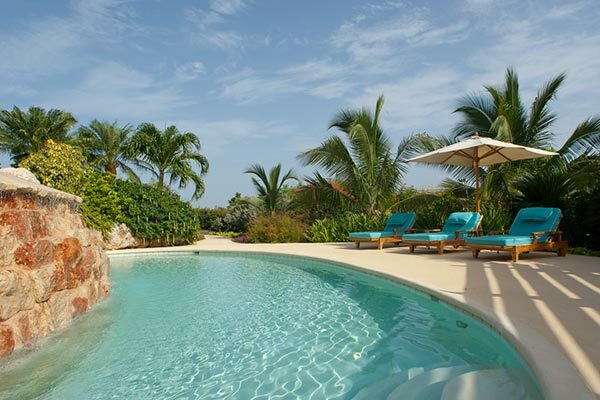 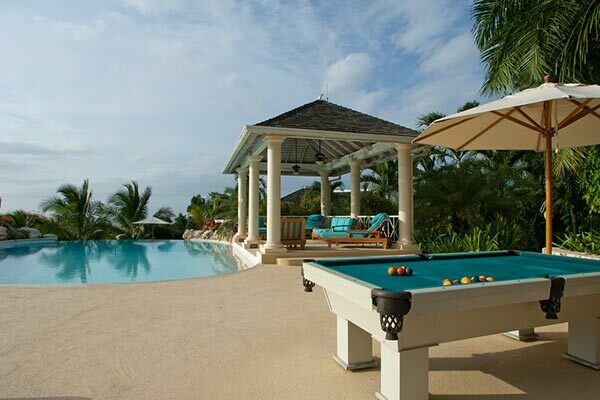 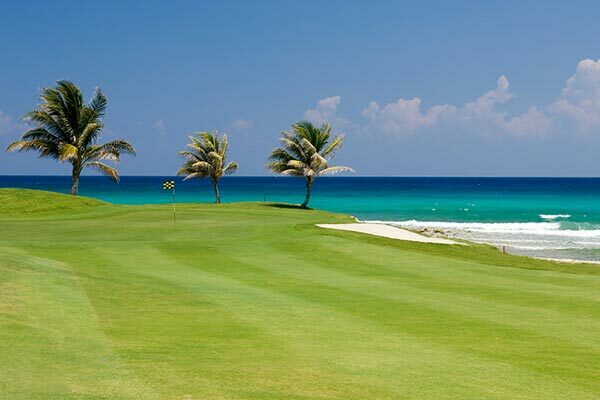 Stunning property, bordering the famous White Witch golf course, spectacular sunsets, private pool. 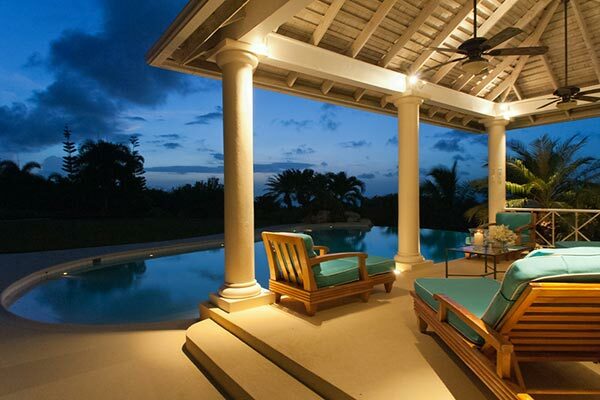 Hand-cut stone forms the exterior façade and interior walls. 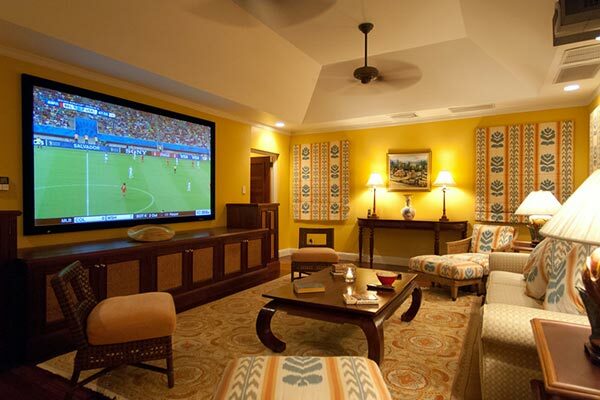 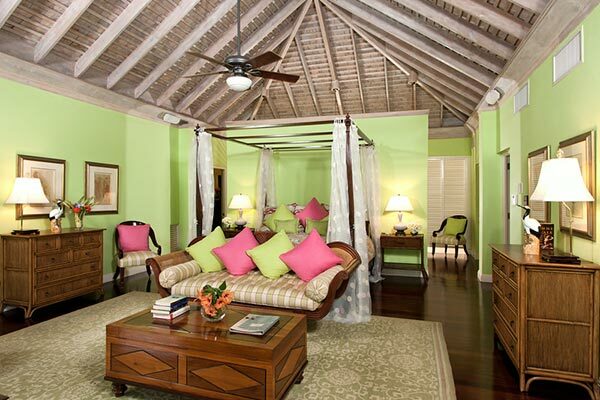 Imported rugs, some designed and woven specifically for this home, adorn the rooms. 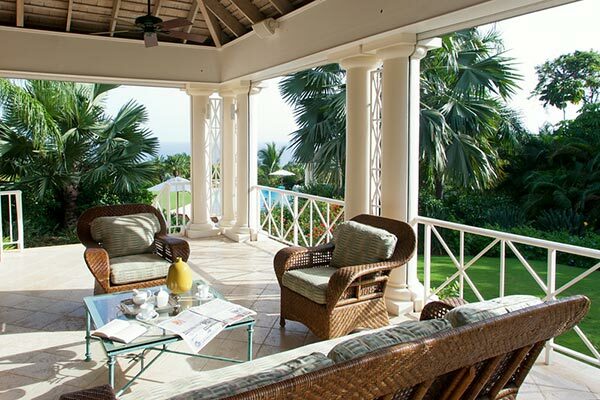 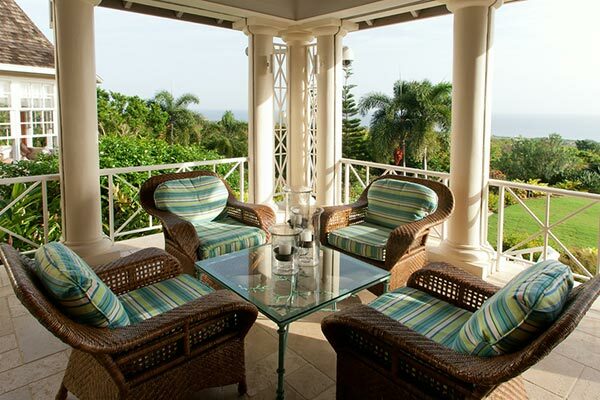 A columned veranda offers shaded lounge spaces. 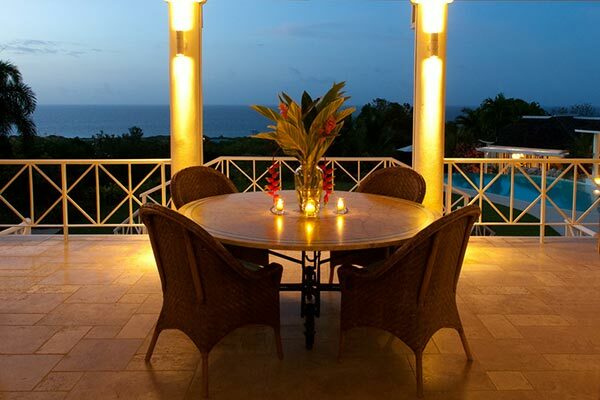 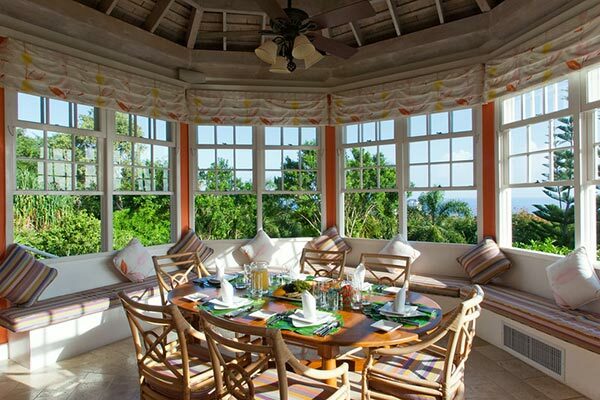 Dining areas are located in the great room and on the veranda with views of the grounds and sea. 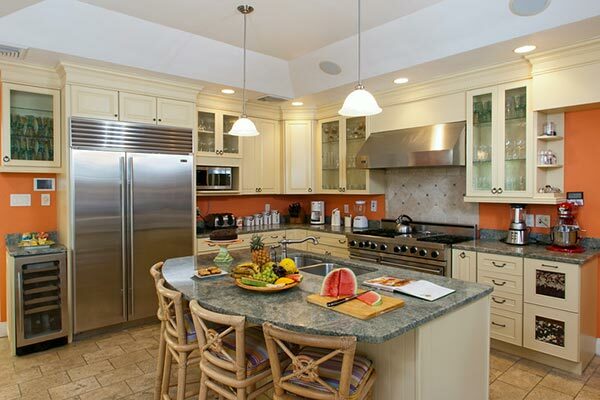 Nearby is the chef state-of-the-art kitchen, which connects to the sunny breakfast room. 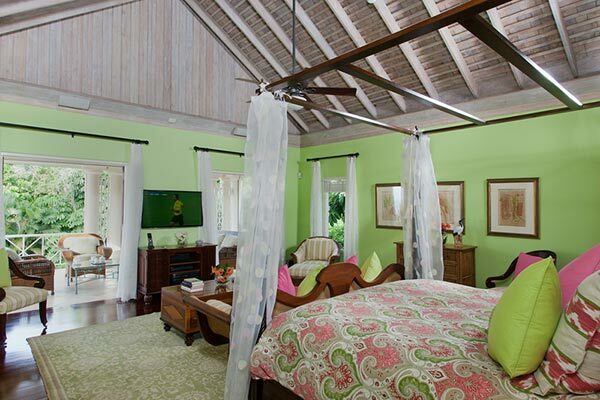 The master suite occupies the entire east wing and is accessed via stone steps from the pool terrace and from the main house via an interior hallway. 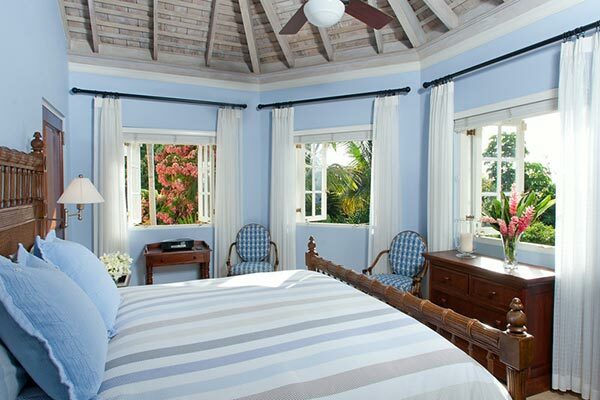 The master suite has a 4-poster king-size bed and opens to a private covered porch. 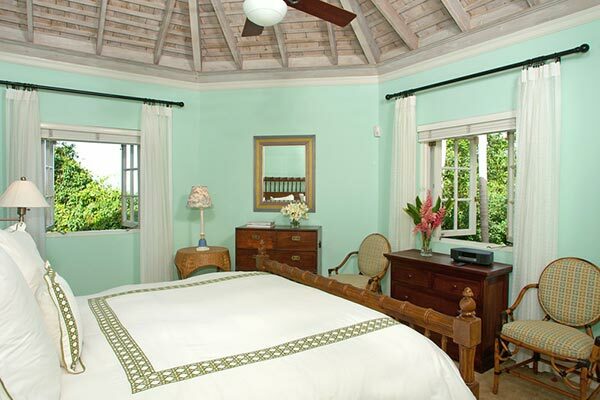 The master bathroom has his and her vanities, a spacious double shower, and deep bathtub. 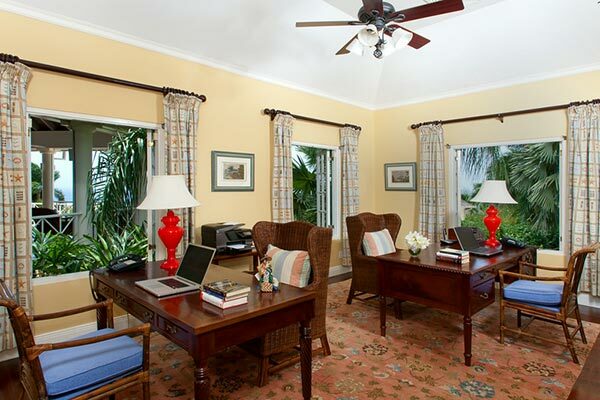 The suite also houses a large air-conditioned office with an adjoining powder room. 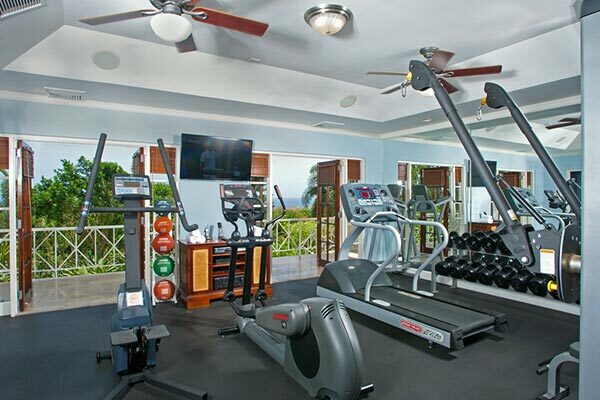 The west wing of the villa contains 2 more bedrooms, the movie room, and a well-equipped gym with a treadmill, an elliptical machine, weights, and more. 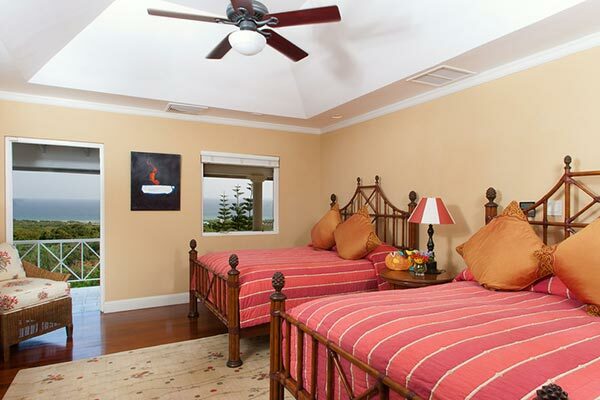 Each bedroom has 2 queen-size beds, an ensuite bathroom, and access to the interior hallway and a balcony with views. 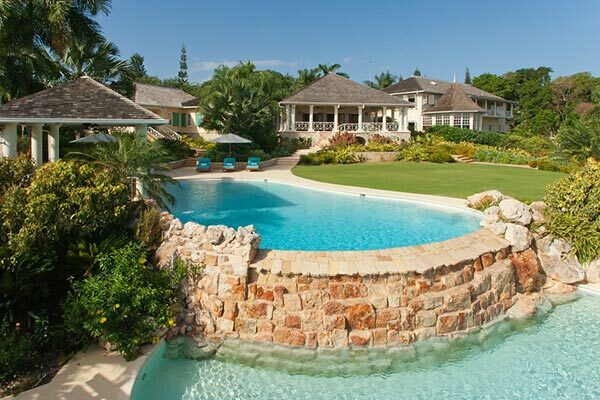 From the main house, an east stairway leads to the pool terrace and the 2-bedroom cottage with full kitchen, sitting room, and its own pool. 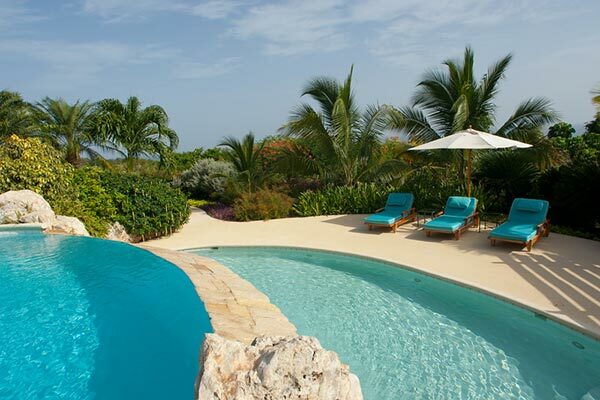 The large saltwater pool flows into the cottage pool, which is 3 ft. deep. 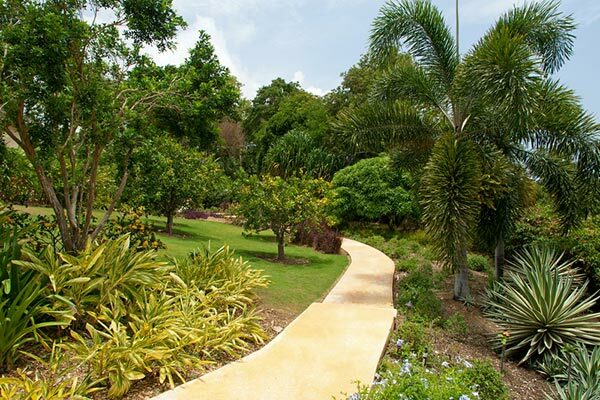 A path winds through gardens to a gate, which opens to a playground with swings, climbing bars, and a basketball hoop. 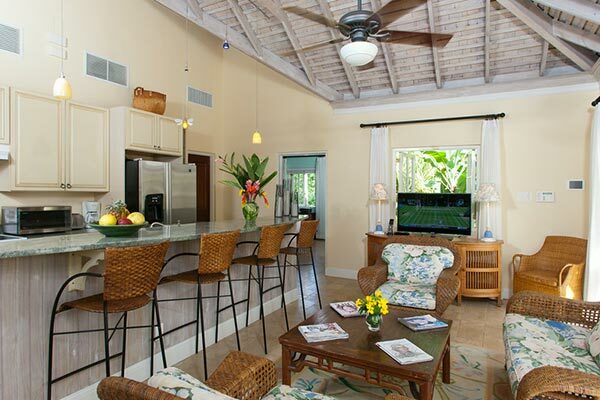 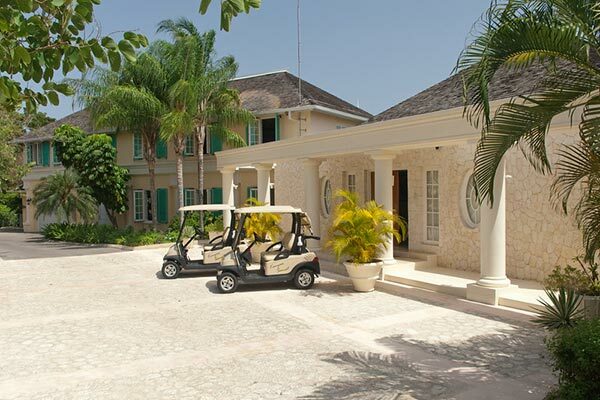 This villa, which is wheelchair accessible, also comes with a billiards table, games, a 34-speaker sound system, Direct TV, computer, WiFi, and 2 golf carts. 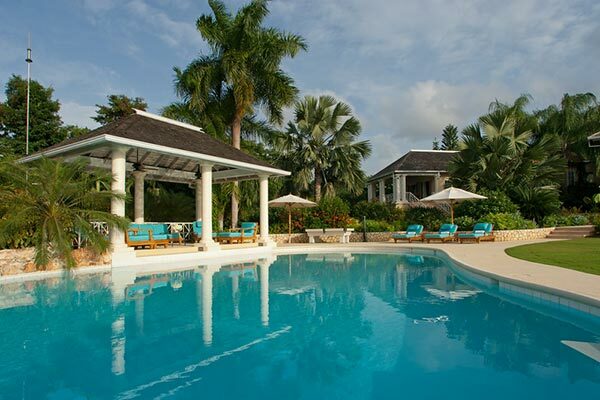 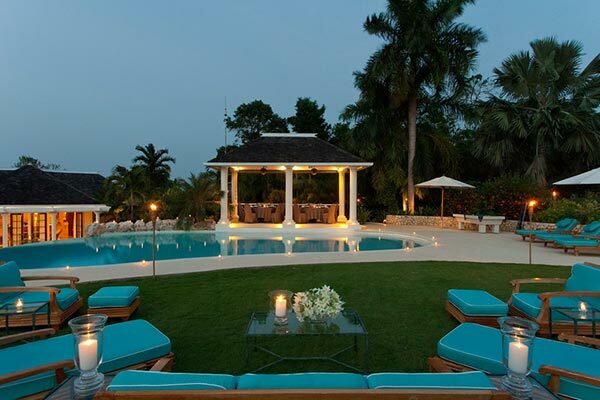 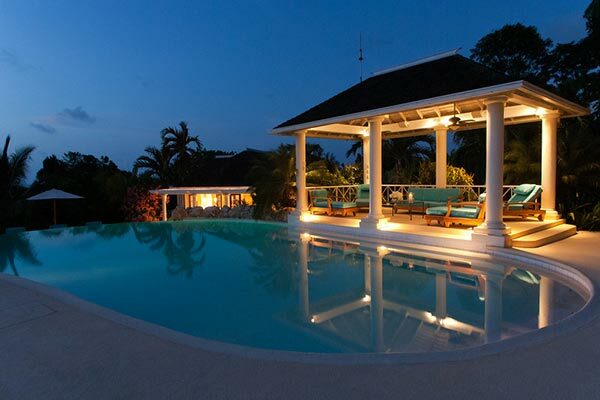 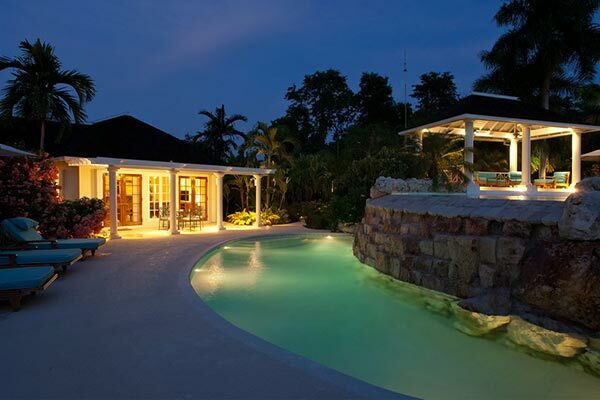 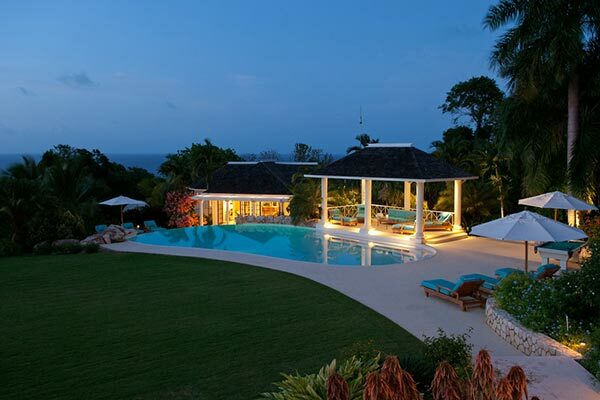 This villa can be combined with its sister villa, VL JUS, for a total of 8 bedrooms. 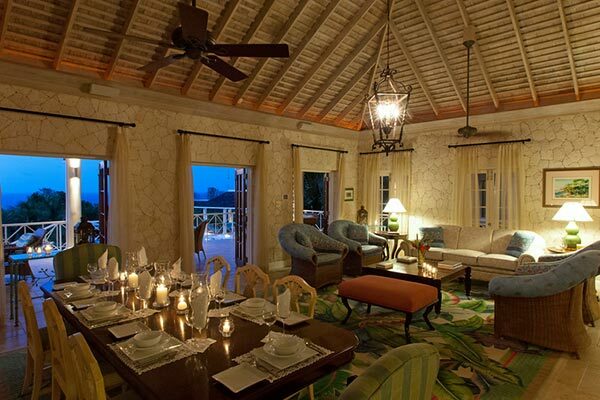 Villa Kenyan Sunset, or VL KEN, comes with house cleaning services. 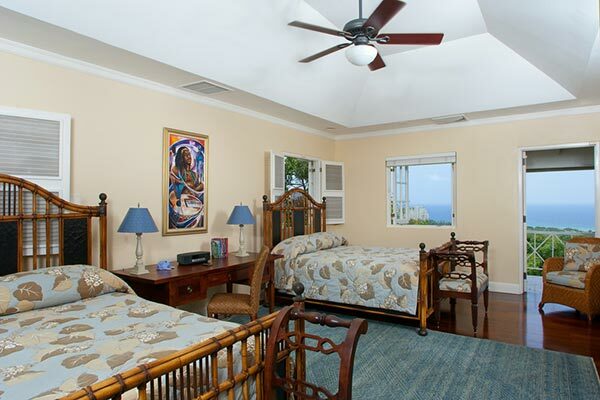 During the Thanksgiving and December holidays, the villa rents at full occupancy rates regardless of how many bedrooms are used.